April 2019 and the starting date for two momentous events – one still up in the air and affecting everyone in the European Union, the other most definitely in the diary and significant for British racing – is just nine months away, which will pass in the blink of an eye. While the sport’s leaders, supporting the referendum majority who in June 2016 said ‘No’ to Europe, are focused on ensuring that there is a Brexit transition period and then a full agreement that will allow the free movement and trading of horses beyond that date, they are also preparing for the start of a new era in which the Racing Authority finally takes over the distribution of funds that has been carried out by the Horserace Betting Levy Board for nearly 60 years. That responsibility offers an exciting prospect and initially came on the tide of a rising levy, which for 2017-18 could reach as much as £95 million. However, it now has to be considered in the light of government reforms to minimum stakes allowed on Fixed Odds Betting Terminals, which will undoubtedly have a damaging effect on racing’s income through expected betting-shop closures. No-one can quantify that effect, but prudence will have to be exercised until the picture and level of revenues become clearer. Still, if the government can be persuaded to include bets on overseas racing in the levy calculation, the damage may be somewhat mitigated. I am sure that bookmakers will do everything to make sure their core business not only survives but also grows. After all, they are innovative businessmen. Our sport must not slip into a negative mode. We have the best high-class racing in the world and are the envy of nearly every other major nation. We need to be positive, and, post-Brexit, very focused on what British racing and breeding can do to move forward and grow. The Racing Authority – in which I should declare my interest as one of the two Horsemen’s Group representatives, alongside the ROA Chief Executive Charlie Liverton – will be fundamental to that process. It has been operating in shadow form since August 2017 but at the beginning of last month the formal structure, under the chairmanship of former sports minister Sir Hugh Robertson, was agreed. While the BHA will continue to be responsible for governance and regulation, responsibility for collecting the levy will transfer to the Gambling Commission and distribution will be carried out by the Racing Authority, when the Levy Board is abolished in April 2019. Taken in the round, the new structure will require a firm platform of regulation and clear governance to ensure the sport is well organised, so that the entrepreneurial spirit of so many of those involved can thrive under a system that supports the enterprise under which our sport has flourished. 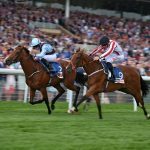 Although Britain is unlikely ever to have the financial resources of, say, Japan or Australia, with their different betting models, it does have very successful racecourses, breeders and trainers, who make the very best of what is on offer. They should be supported in every way possible by a light-touch governance structure. While regulation must be resolute, independent and transparently fair, governance should be supportive, flexible and adaptable to change, most particularly in order that it benefits all sections of the industry going forward. It is up to industry stakeholders to identify what is needed to ensure the health of the industry, and everyone should engage in the process through a system that encourages the sport to succeed in Britain, using the many unique resources it possesses. Making sure the sport thrives will do a service for the whole thoroughbred world, which benefits from the health of British racing. Breeding and racing thrive on competition and international exchange, but a strong home breeding industry, supported by everyone in the sport, is essential. Britain has the best racing and tests the best horses. So, let’s get engaged, let’s work on how we support British breeding and make sure we drive forward with a positive attitude of can do!